People suffering from diabetes may have an underlying advanced vascular disease that may increase their risk of stroke. 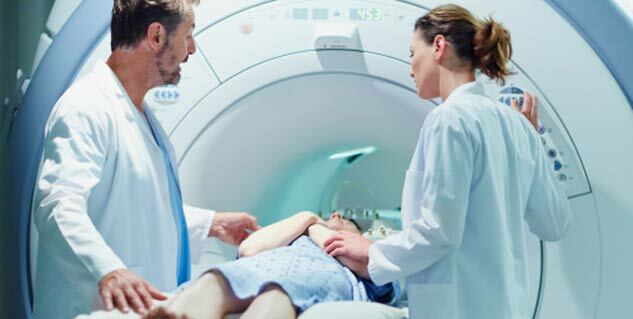 The findings of a recent study suggest that arterial imaging with 3D MRI may be helpful in determining stroke risk in diabetics. Carotid arteries are vessels that supply oxygenated blood to the head. These arteries are present on each side of the neck. Narrowing of carotid arteries has been linked to risk of stroke, though less is known about stroke risk in people with little or no narrowing of the arteries. For the study, the team of researchers used 3D MRI to study carotid arteries to reveal evidence of intraplaque hemorrhage, which is an indicator of advanced atherosclerotic disease. The study author Tishan Maraj, imaging analyst at Sunnybrook Research Institute in Toronto said that people with carotid artery narrowing and IPH have about five to six times higher risk of stroke in the near future compared with people who did not have it. Dr. Maraj and his team had focused their study on diabetics. Of the 159 patients who were imaged, 37 had IPH in at least one of their carotid arteries. Five of the 37 patients had IPH in both their carotid arteries. IPH was noted to be present in the absence of carotid artery narrowing. It has also been linked or associated with increased carotid artery wall volume according to measurement by 3D MRI. Dr Maraj said that it was a surprising revelation in quite many diabetes patients, which may indicate that IPH is an early indicator of stroke risk that must be followed up. Even though there is no treatment for IPH , its identification may help in reducing risk of stroke, provided the patient follows up. The research will be presented next week at the annual meeting of the Radiological Society of North America.